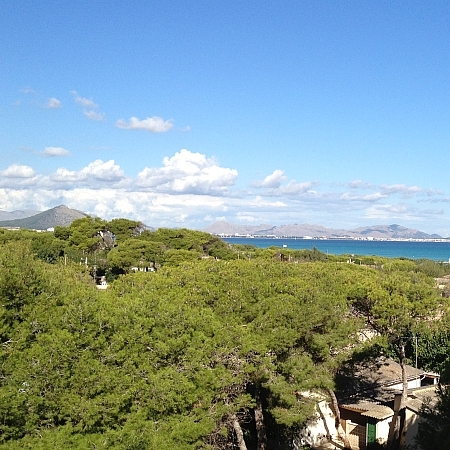 is located in Playa de Palma, Colonia San Jordi, Porto Cristo, C'an Picafort, Port de Soller and Playa de Palma. Selected properties include one 3 star and six 4 star hotels. Many of the hotels have open air swimming pools. We are pleased to discuss details on request. Starting south of Palma in Playa de Palma,head inland before you reach the unspoilt, steep rocky coastline which then leads down towards the salt fields by stylish Colonia Sant Jordi, before you follow the coast of 100 coves towards the beautiful bay at Cala Santanyi and the famous dragon caves near Porto Cristo. Pass by pearl oyster farms at Manacor and through olive groves and orchards en route inland to historic Petra and C’an Picafort on the coast. 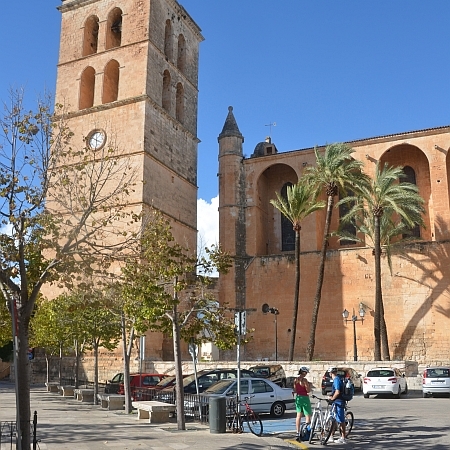 Nearby S’Albufera boasts an amazing wetland nature reserve and the climb to Alcúdia (“ The Town of the Hill”) is worth it for the great fusion of cultural influences in this historic fortified town. 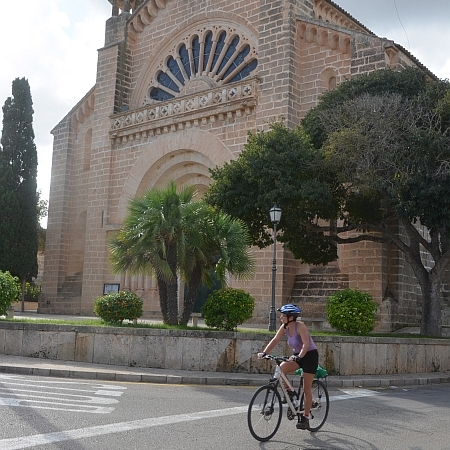 Heading westwards inland, there’s a transfer across the mountains of Serra de Tramuntana to the famed monastery at Lluc and on to even higher ground before you jump back on your bike for the long descent to breath-taking Fornalutx and on through the citrus groves to Port de Soller. 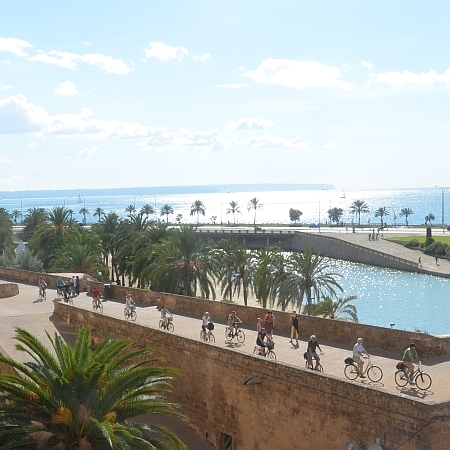 Cycling mostly on quiet roads with some hills and some busier stretches, this tour takes the strain out of any major mountain climbs with minibus transfers and brings you in to Palma by train and tram on the final stage of the route. Arrive in Playa de Palma, in the northern curve of the vast Bay of Palma, and enjoy the sporting facilities at your hotel. Overnight Playa de Palma. Heading out from Playa de Palma, the unspoilt steep rock coast leads down towards the ancient settlements of Capocorb Vell, the Kingdom of Cyclops, and on to S’Estanyol where there are wonderful views of the snow-white sandy beaches and bird reserves of Es Trenc. Further down the coast the massive salt pans at Salines de Llevant/Campos del Port and Ses Salines produce table salt for export to Scandinavia. Your overnight is in the picturesque harbour town of Colonia Sant Jordi. 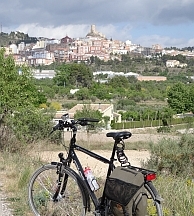 Cycling out past a prickly combination of the Ses Salines salt pans and Europe’s largest cactus garden, the pretty town of Santanyí beckons, once heavily fortified against the regular attacks by pirates. 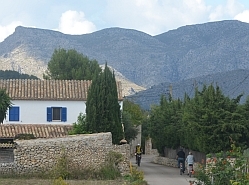 Quarries near here provided the honey-coloured stone for Palma’s impressive cathedral and the route passes here between typical stone walls and almond plantations. Pedal on to one of Mallorca’s most beautiful coves at Cala Santanyí and look out for the famous ‘Es Portas’ rock bridge before reaching Porto Cristo and the old harbour of Manacor. 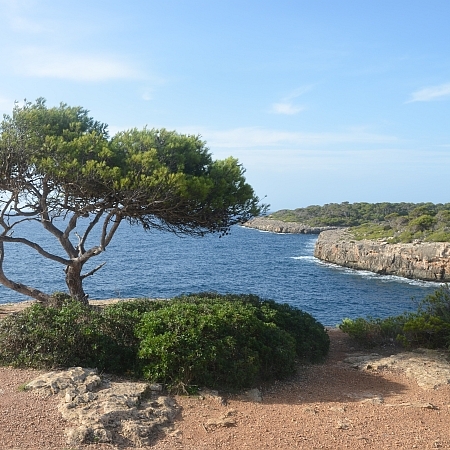 Don’t miss the nearby Dragon Caves – Europe’s biggest subterranean lake – or take a detour up to Cala Millor, home to Mallorca’s famed Surrealist painter, Joan Miro. Overnight Porto Cristo. 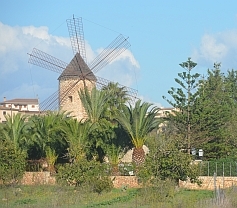 Heading inland from Porto Cristo, there is such a wealth of natural beauty to discover, from pretty country lanes flanked by dry stone walls to picturesque villages such as Son Carrio. 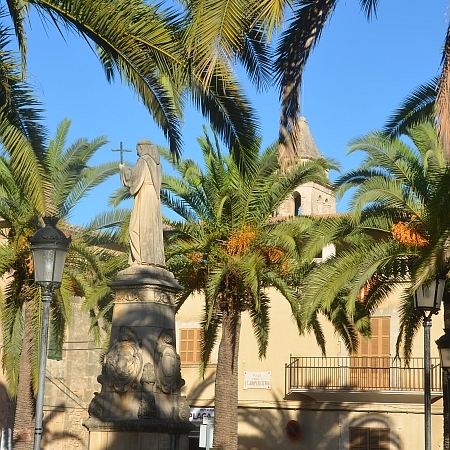 Next up Manacor, the island’s second largest city, offers the fruits of pearl-oyster farms alongside ceramics and local artworks but Petra leaves modern trappings behind with its charming maze of alleys and little squares surrounded by tall, green-shuttered houses. Known as the ‘Es Pla’ or granary of Mallorca, olive groves and orchards abound along these tranquil valleys as you make your way via Santa Margalida to your next overnight back on the coast at C’an Picafort. 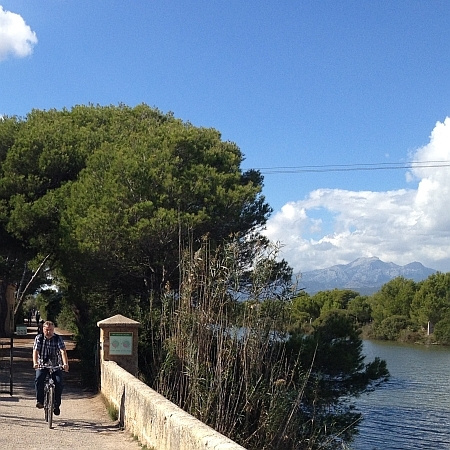 Take a circular route out through the attractive bird reserve of S’Albufera, the second largest natural reserve after Provence’s famous Camargue and on to Pollença, a perfect Mallorcan town preserving a traditional way of life in the hills of the eastern Serra Tramuntana. 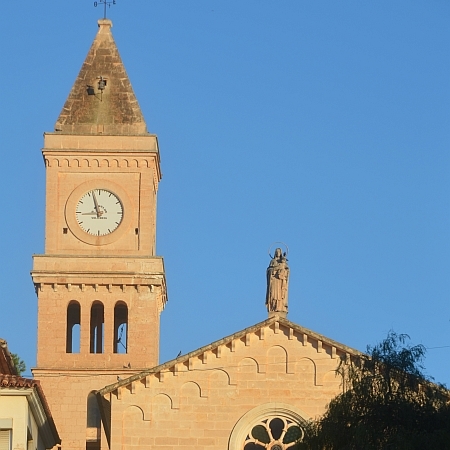 The port nearby was a favourite enclave for the English aristocracy including Sir Winston Churchill, but for a real history lesson, head for Alcúdia where carefully reconstructed buildings reveal the story of Mallorca’s development. Two picturesque gates open the way to a maze of alleys and buildings which tell of Romans, Vandals, Moors and Christians. Overnight C’an Picanfort. Head out from C’an Picanfort via Muro with its huge Catalan-gothic church and Llubí renowned for its precious carobs and delicious capers to the island’s third largest city, Inca. 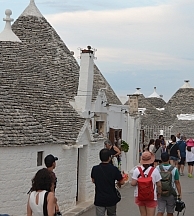 Here tourism still keeps the trade in leather goods alive, but there are colourful food markets and atmospheric cellar bars of a much more authentic nature to be found here too. This is where you join the organised bus transfer for the climb into the mountains with its first stop at the unmissable 17th/18th century Lluc monastery. 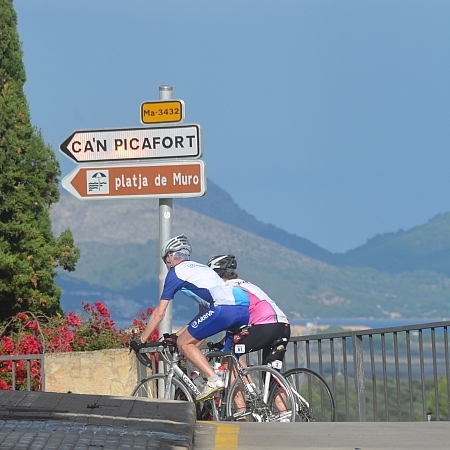 The high reservoirs are next up before a long descent by bike to the picturesque village of Fornalutx (paella lunch with wine included here in the tour price) before pedalling down through the orange and citrus groves to Port de Soller and your next overnight. A nostalgic train ride through the valley of oranges starts the day with a stop at Soller (from the Arabian ‘suliar’ = valley of gold) where the rich local pickings have left a legacy of little alley ways full of wonderful old houses and pretty courtyards, all adorned with cast iron gates and railings. 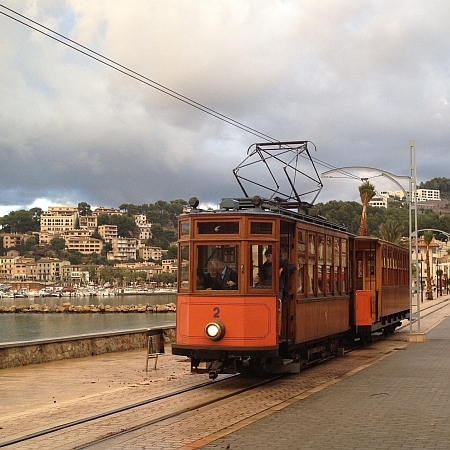 Then there’s a ride on the ‘Red Blitz’, the island’s oldest train through beautiful scenery and 13 tunnels into the sophisticated city of Palma itself where the impressive squares, royal palace, famed La Seu cathedral and the Banys Arabs (Arabian baths) are yours to discover on a bicycle tour. 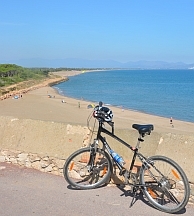 Finally a short cycle ride takes you back to the beach at Playa de Palma. Overnight Playa de Palma. 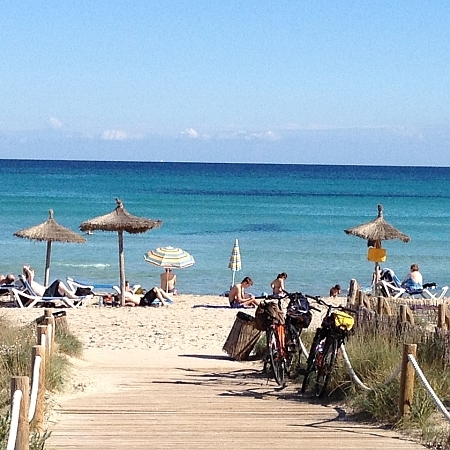 Depart after breakfast following your final night in Playa de Palma. 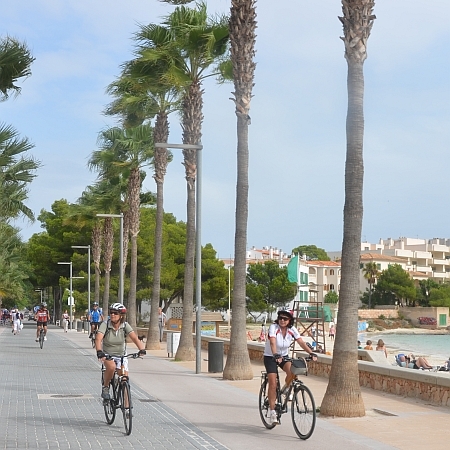 Extra nights can be booked in Playa de Palma on a bed and breakfast basis either before or after the tour to allow more time to enjoy the sunshine and beaches or explore the centre of Palma city.